Exclusive interview with localization director David Kracker reveals how legendary visual novel 428: Shibuya Scramble made it to the West. Hey everyone! 428: Shibuya Scramble is a visual novel with branching paths set in the streets of Tokyo that uses real actors and real locations for a totally unique narrative experience. The demo will be available for download at PlayStation Store tomorrow! Today we have David Kracker, 428: Shibuya Scramble’s localization director, for a special interview. First off, how did this project come together? 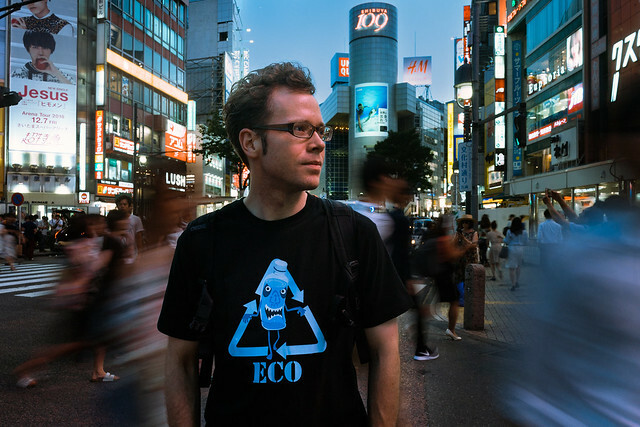 David Kracker: My favorite Japanese video games have a certain sensibility that you don’t find in Western titles. They’re off-kilter, but in a good way, you know? 428 is the most “Japanese” game in our back catalog, so when I joined Spike Chunsoft, I made it my mission to localize it. The titular Shibuya Scramble crosswalk is a Tokyo landmark, something like the Times Square of Japan, and the game captures the vibe of the city that anything could happen at any time. Eventually, I convinced my producer that there’s a demand for niche Japanese titles and somehow got the green light. Help prove me right, everyone! 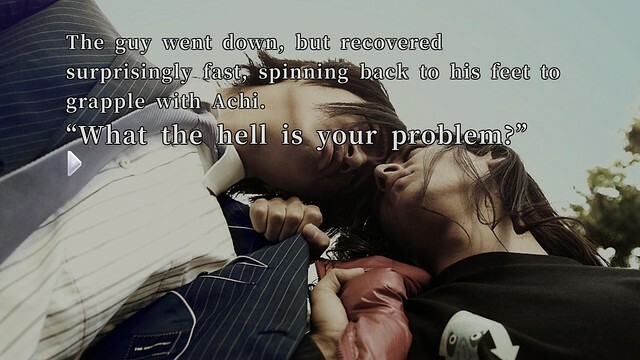 AA: I believe there’s a demand for niche Japanese titles! So, tell us about your role as localization director. DK: Well, it started with digging through thousands of photo stills and deciding how each scene should be handled… but nobody wants to hear about that, so I’ll say my most important contribution was bringing on Kajiya Productions as the localization team. 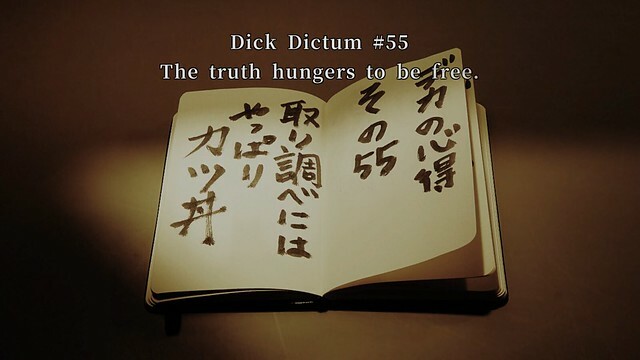 The English script from editor Alexander O. Smith and translator Kevin Frane had me laughing and crying at all the same places as the Japanese original, which I think is the hallmark of a great localization. AA: What can players expect to get in the first hour of 428: Shibuya Scramble? AA: Nice! After the first hour, the character routes expand to include journalist Minorikawa, brilliant researcher Osawa, and part-time cast mascot Tama. What was the hardest part of the localization process? AA: The game deals with some heavy themes like kidnapping, murder, and bioterrorism, but it balances the mood with light-hearted elements like Tama, the part-time mascot! How did you set the tone for the localization? 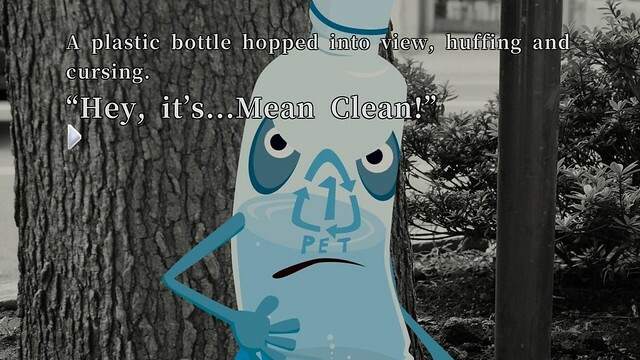 AA: So aside from the main protagonists, there’s also the bonus “Mean Clean” scenario! How does he fit into things? DK: Like all recycled items, Mean Clean didn’t start his life in his current form. I don’t want to spoil his backstory, but I will say Shibuya’s streets are littered with Easter eggs. Pay close attention during the main scenario and you might spot Mean Clean hiding just out of sight. If you miss him, don’t worry, you’ll receive post-game clues to help find him and unlock other bonus content. 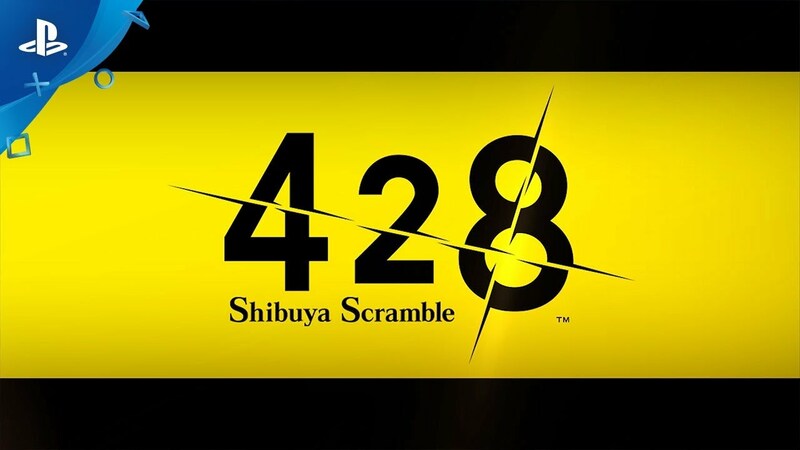 AA: What do you hope players will get out of playing 428: Shibuya Scramble? DK: The old adage says, “There are two sides to every story.” In 428, there are five (or more). Each character reveals different elements of the rest of the cast, so I hope players will take the time to explore all the narrative nooks and crannies the city has to offer. Shibuya’s story is yours to tell! 428: Shibuya Scramble comes to PlayStation 4 on September 4! Let’s open up our discussion to the PS Blog readers. Drop some questions below and David and I will try to answer them! On my initial playthrough, I connected with Minorikawa—driven, a bit of a troll, but always there to help a friend. When we got into production, I empathized with Osawa—a guy on the verge of a breakthrough but torn between personal life and professional responsibilities. I’m sure you’ll find a character whose motivations and struggles mirror your own! Hello ayatoyuri! My favorite is definitely Tama. 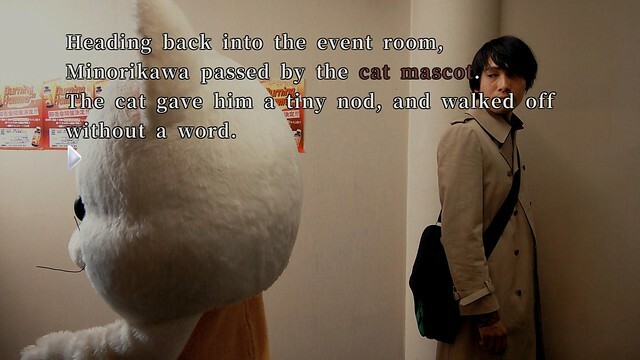 Just imagine being stuck in a cat mascot suit for a day! Her route is hilarious. Haven’t got any questions, but great job to you guys on localizing this title, I’m looking forward to reading it. Best of luck to you guys! Appreciate it. We hope you enjoy the game! Please localize the PS Vita versions of Zanki Zero and Steins;Gate Elite! I saw a trailer and it really peaked my interest so I’m glad this game is being translated. I’m guessing the reason a lot of these niche games have a hard time being localized is because the cost to actual sales might not justify the whole production. Yeah, a lot of them get the treatment but stateside, as far as I know, this is a rare thing for major conciles to be getting. The only other game that even sort of resembles this one I can think of is that VR game, Restless Spirit, which I really want to play but, my point being, yeah, pretty niche. I don’t think we get that many officially translated in Mexico, either. So, I’m curious, if this was a PS3 or 2 title I would imagine that this game would have never made it outside of Japan, except maybe through fan translations, so how is it that not only are we getting a full localization but even a physical release? The PS4 is releasing a lot of games that one would’ve never fond on a council before, even point and click games. I’m not complaining, just curious as to what it is about the PS4 that makes so that there are all these game we wouldn’t have gotten on a council before, including this one. In our case, our other visual novel games (Danganronpa/Zero Escape) have proven successful outside of Japan, which opened the door for 428. The market is growing and the audience is more diverse than ever so now seems like a good a time as ever for titles outside the mainstream! This actually was a Wii game first, and has been ported a lot over the years! It’s really cool to see it come out here now, since I’ve heard such great things about it, but I think more than just the PS4 it’s that VNs are catching on a lot more worldwide. It’ll be very interesting to see how it’s received here, since it has more choice in how you advance the story than most VNs out in English, but is unvoiced and with a sound novel presentation rather than adventure style text boxes people might be more used to. Is there a reason you went with past tense for the text? Was this a stylish choice, or the same way in the original? I’m beyond excited for this, and having Alexander O. Smith do the localization is icing on the cake, just morbidly curious. The game reads like a novel (third-person narrative), so it flows better in the past tense… with one exception! Tama’s scenario is told from her perspective so we used the present tense to give it a sense of immediacy. If you’re a fan of Alex and his team, you won’t be disappointed! I would love to get this game day 1, too bad there’s so many other niche Japanese games coming out at the same time. Yakuza Kiwami 2, Shenmue 1 and 2, Fire Pro Wrestling World, and Dragon Quest XI all release within two weeks of each other. Will the bonus scenario created by Type-Moon be available in the English release of 428? Yup, the anime-style scenario is there, along with the original Japanese voices. Ehm… where is the demo?